An authentic Men’s, Women’s and Children’s lifestyle brand rooted in the much needed expansion into sustainable, organic and environmentally friendly denim. 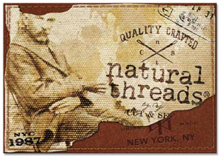 Getting back to quality crafted clothing, authentic washes, organic or recycled cottons and fibers are the core beliefs of the Natural Threads Brand. 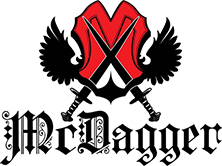 McDagger Denim boasts impeccable fit , innovative wash treatements and superior Denim quality. Details such as flowing stitch lines , back pocket details and hardware create a unique blend of rocker aesthetic. A brand that sets itself apart from the rest. We hope that our Denim inspires your own individuality. Launched in 1975, Bonjour was created to emanate chic European sensibility that led to the allure of the brand. It was one of the first Brands to create “Designer Jeans” fit and styled exclusively for women. Bonjour continues to bring innovative regalia to the market with fashion forward styling that combines authenticity and passion. PNK is a fashion destination for the dynamic and creative young women passionate about clothes and feeling fabulous. She is adventurous, happy, hopeful, smart, independent, and is keenly aware of all trends. Our mission is to inspire our customers to be and feel amazing every day. We strive to offer the perfect fit, fabric and wash at an ultimate value.